Teaching conjunctions to young students can be really difficult. You need to not only attain their interests, but also get them understand the complex idea of the language. To make your life easier, I’m here to save you with 6 very practical activities that you can do in class to achieve your teaching goals. 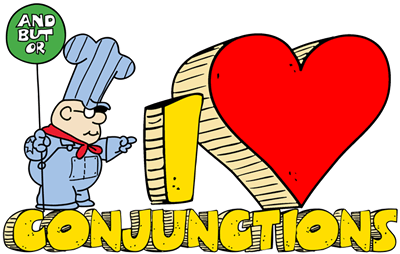 Have students write down all the words they can think of that are conjunctions. Remove duplicates, give them some example sentences using a different conjunction, and ask for more. You can also add a new conjunction into the sentence and let the kids pick it out. Then create a wall with all the suggestions. Put students in pairs and let them both write a sentence at the same time. Then ask the whole class to use conjunction words to link the two sentences up and choose a winner that is either the most funniest, or the most surprising. Kids love playing Bingo. You can make some cards with nine spaces and in each space there’s a conjunction word. When the teacher calls out a words, students need to come up with a sentence using that word before he or she can cross it off. Students with three conjunction words in a row wins. Students spinning a wheel to answer questions on conjunction. Each area on the wheel represents a category such as food, music, sports or any other areas. Each question requires the student to fill in a blank that completes a sentence. For instance: “I will do my homework (blank) eat pizza later”. You can also make it a multiple choice question by having “and,” “then,” “during” and “when” as options. It’s always good to use classic games like Hangman which encourage students to work together to guess conjunctions letter by letter, or word search puzzles that asks students to find conjunction words hidden in a page full of letters. There’s no better way to avoid marking hundreds of worksheets than using technology. Children love tablets and computers, so why not use them to help achieve goals and make life easier? Grammar with Emile, for instance, provides a great conjunction assignment. The questions are aligned to the National Curriculum, and when pupils start to compete in multiplayer mode and collect coins to buy clothes for their Emile, the impact on attainment can be quite remarkable.